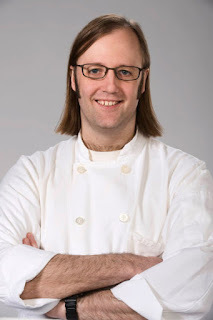 With Suzanne Tracht winning the second slot in the championship round, in the second episode of Top Chef Masters we saw the unraveling of hometown favorite Wylie Dufresne of wd-50. Running around like a chaotic madman, he totally choked in the quickfire, never recovering enough to overcome his last place finish. And forgetting to plate the chicken for judge Jay Rayner? Wylie acted like a cry baby. now the competition is over get over it. Wylie., you still is the big chef in town. Christine has written a vivid description. sounds like that kitchen still rattling.